I decided to chime in on this one. I had heard the “post-hole” theory (which some of the other responders mentioned), especially in connection with hypothesized modesty screens for ritual immersion. This doesn’t make sense to me, though. For one thing (as I recall), the holes are not configured in a straight line, nor are they evenly spaced. Also, they are relatively broad and shallow, and of different sizes. But they are definitely man-made and not naturally occuring features. A smooth cup-mark like this can sometimes be a hinge-socket for a door, but I don’t think that’s the case here — there are too many, and the stones would almost have to be in secondary use. However, here at St. Stephen’s Priory (the Ecole Biblique) where I live, we have a surviving portion of the original pavement of the Byzantine atrium, and one of the pavers has this same sort of smooth, rounded depression. It’s located, interestingly, very close to the original well-head through which water was drawn up from one of the great vaulted cisterns. 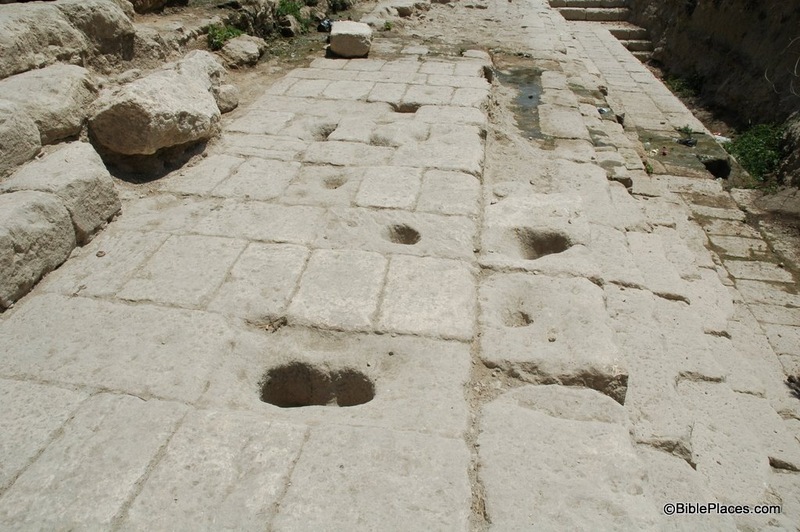 In short, I suspect that the round depressions at Siloam were for stabilizing ceramic water-pots of various sizes, which were being filled. At Siloam, it seems like the holes are clustered near the northwest corner of the pool, which is where the water was flowing in (probably after passing through an upper pool at the mouth of the tunnel); the feeder channel is in fact perfectly visible. We can imagine that the Siloam Pools served as a public water source, for many household purposes, for Jerusalemites inhabiting the Lower City, as Josephus calls it. Also, we’ve all seen the large stone water jars (or pictures of them) “for the Jewish rites of purification, each holding 20 or 30 gallons” (John 2:6), several examples of which have been recovered archaeologically. But these were certainly not very portable, so how were they filled with the requisite “living water”, and from what source or sources? At very least, we can say that the Gihon spring and its pools qualified for this purpose. One connection I think it is appropriate to make at Siloam is the water-drawing ritual of the Feast of Tabernacles, as described in the Mishna (Sukkah 48b), when a golden vessel was brought down from the Temple and filled at the waters of Gihon (whether at the spring-head or the pools I don’t think is specified). 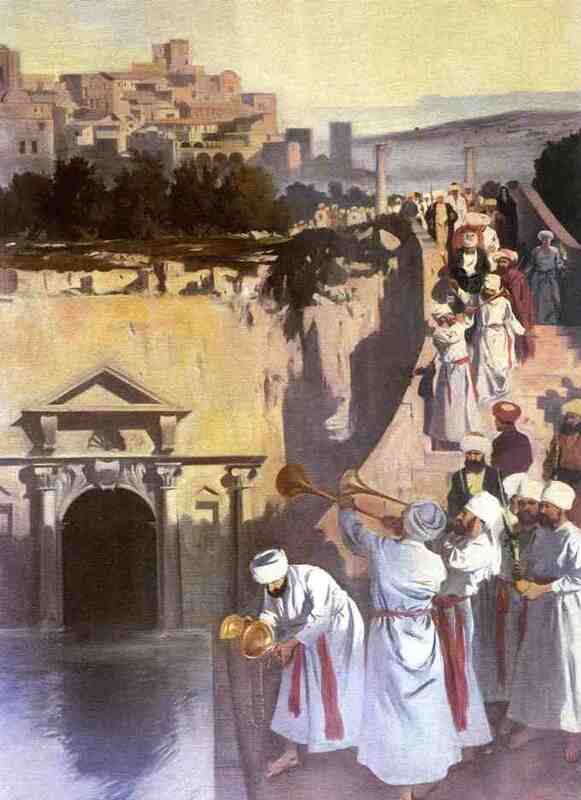 Below is a piece of art which depicts this Sukkot water ritual at the Upper Siloam Pool, at the end of Hezekiah’s Tunnel. 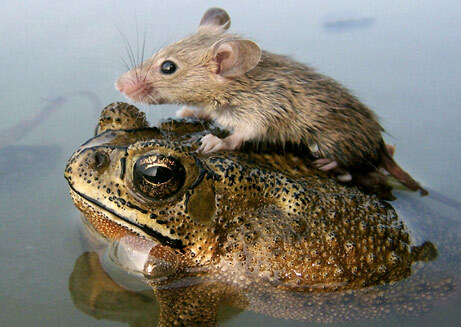 (For the image source, see my comment below.) What’s especially interesting to me is that the artist depicts a stepped street ascending on the east side of the pool — which is exactly what archaeologists have uncovered there in recent years! I’ve just gone back and read some of the comments on Todd Bolen’s 2010 post on this topic. Some of the explanations have merit, but perhaps not in this context: A focused stream of falling water can indeed wear such holes in a rock surface, especially limestone. But where was the falling water? A water-slide for the kids, maybe? Also, irregularities in the quality of limestone, and thus patterns of differential weathering, are well-known. One need only look at the great Herodian stones visible in the outer walls of the Temple Mount to see side-by-side how such variations can greatly impact a particular stone’s resistance to erosion. I’m not sure, however, that these anomalies occur in very small, isolated pockets like this. Finally, commentator Al Sandalow gets in the spirit of things by pointing us to the above photo found on the internet (source?). 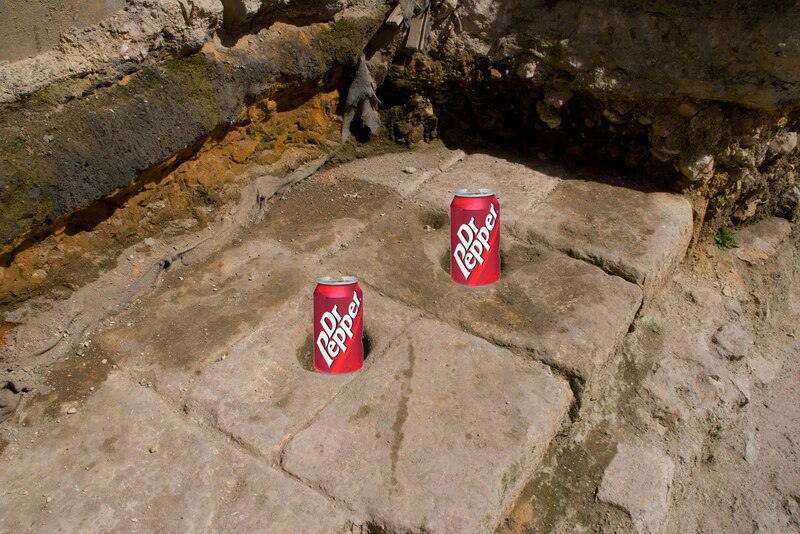 Whether this is what the archaeologists actually found in situ, I cannot say. I does occur to me, though, that the vessels which once rested in the holes might have been brought there for the express purpose of cooling the contents — water, wine, milk or other dairy products, or… whatever — by partially immersing the pot or jar in the Gihon waters! While I suspect that the Upper Siloam Pool was tightly controlled as a source of clean, potable water, the northwestern corner of the lower pool, where the water was flowing in (and the holes are in fact clustered), would have been perfect for this! This entry was posted in Archaeology, City of David, For FUN (mostly), JERUSALEM, Jerusalem Antiquities and tagged Archaeology, City of David, Gihon Spring, Jerusalem, Siloam Pool. Bookmark the permalink. Source of the water-drawing art: “Carta’s Illustrated Encyclopedia of the Holy Temple in Jerusalem” (Temple Institute/Carta, 2005), p. 185. Your suggestion that the holes were to hold and stabilize pottery vessels while they were being filled makes perfect sense to me. In fact, that’s exactly what I thought when I first saw the pool only a month or two after it was excavated. Supporting this idea would be the fact that they are all (to my memory) on the highest course or two of stonework and none lower, where presumably they would’ve been submerged in water.